As a new member in the team, my aim is to set up and develop biochemical and proteomic approaches dedicated to the characterization of ancient proteins (Paleoproteomics) from fossil records. Ancient proteins provide invaluable functional information complementary to genetic data, allowing for protein-based phylogenic reconstruction, access to ancient human diseases and diet, and to biomolecular investigation of the deeper time due their longer survival in fossils compared to DNA. 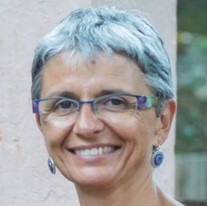 From 2016 :	Senior scientist in AMIS (Laboratoire d’Anthropologie et Imagerie de synthèse, Toulouse). Team “Paleogenetics” Group leader C. Thèves.